France’s prime minister will announce the suspension of fuel tax hikes that led to riots, reports said. The reports come after French President Emmanuel Macron asked for an evaluation of security measures after a Paris demonstration against increased taxes and living costs turned into France's worst urban riot in a decade. Paris police prefect Michel Delpuech said some officers described encountering "unprecedented" violence, including protesters using hammers, gardening tools, bolts, aerosol cans and rocks. 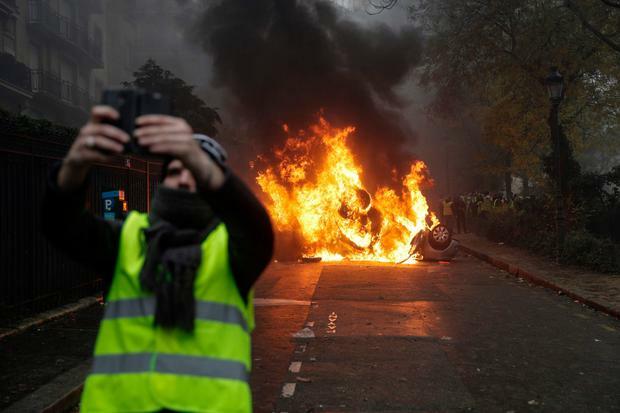 Some radical far-right and far-left activists were involved in the riot, as well as a "great number" of protesters wearing yellow jackets, Mr Delpuech said. The fluorescent jackets, which French motorists are required to have in their cars for emergencies, are an emblem of a grassroots citizens' movement protesting against fuel taxes. 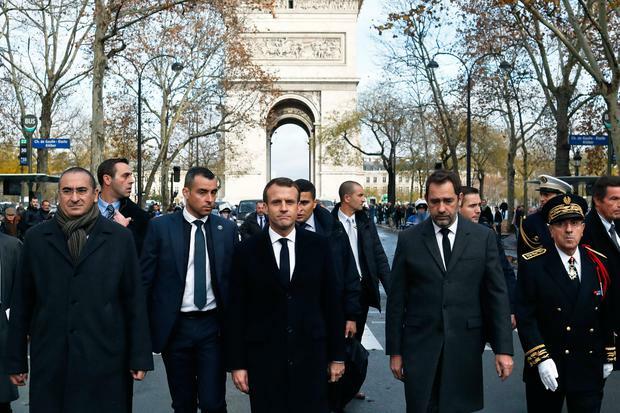 Earlier on Sunday, Mr Macron visited the Arc de Triomphe, which had damaged statues as well as graffiti. One slogan on the famed war memorial read: "Yellow jackets will triumph." At the security meeting, the French leader asked his interior minister to consider making "adaptations" to security procedures to try to contain protests sparked by rising fuel taxes. Mr Macron also asked Prime Minister Edouard Philippe to meet the heads of France's major political parties and representatives from the grassroots movement behind the protests. The grassroots protests began on November 17 with motorists upset over a fuel tax hike, but have grown to encompass a range of demands and complaints that Mr Macron's government does not care about the problems of ordinary people. "It's difficult to reach the end of the month. People work and pay a lot of taxes and we are fed up," said Rabah Mendez, a protester who marched peacefully on Saturday in Paris. "(Violence) has nothing to do with the peaceful expression of a legitimate anger" and "no cause justifies" attacks on police or pillaging stores and burning buildings, Mr Macron said.